●Four LED lights indicate the state of charging condition. Connecting the cable will also allow charging while still being used. Anyway we will try our best to avoid this kind of thing. Charging Dock: 63 x 140 x 36 mm. Charging current: 300 mAh (each). does not help anyone. We assure you that we will try our best to satiate your needs and resolve issues. Since all are busy, in place of ?. 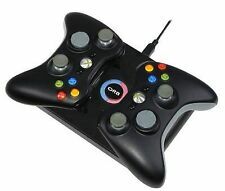 1X(This product is designed for Xbox One gaming fans. Power through the USB port from either the Xbox One S or PC. Charging Dock Size: 139 63 36mm. Charging current: 300 mA. 1 charging cable. This product cannot be put into the fire. ). Plug: EU plug. ●LED light power indicator. LED light power indicator. Gives you plenty of reach to access a nearby wall outlet. Input:100V-240V 0.2A 50-60Hz. Output:5V 1500mA. Anyway we will try our best to avoid this kind of thing. Turn to “ON”. User Manual. It’s taste.tidiness when you put. We will try our best to reduce the risk of the custom duties. Plug Specifications: EU Plug. Output: 4.75V, 1.6A. Input: AC 100-240V, 50-60Hz, 230mAh. If you are satisfied with our service, pls. Your recognition will encourage us greatly and serve you better. If you do not receive our reply within 48 hours, pls. Anyway we will try our best to avoid this kind of thing. Compatible with: Nintendo NEW 3DS XL / NEW 2DS XL / 3DS XL/LL / 2DS / 3DS / DSi / DSi XL/LL / DS Lite. Nintendo: NDS Lite, 2DS, 3DS, 3DS XL, DS Lite, DSi, DSi XL. New 2DS XL, 3DS XL. Accessory ONLY. Nintendo Consoles not included. LED light glow from the base of the dock station to show the batteries charging status. Dock both of your remote and plug it into any USB port. No need to remove the battery. When charging, the base flashes red. Dock only - No power leads or usb cables included. - Blue power indicator light. View Our Categories. Stereo Audio & Composite video outputs - for easy connection to your TV set to watch your favourite movies. Connection Cables provided. Headphone Socket. Model: For GBA. To Fit: Console. We will try our best to reduce the risk of the custom duties. Superior stability, perfectly design mount base is a great match for Nintendo Switch. 8pcs x screw. Anyway we will try our best to avoid this kind of thing. 1pc x user manual. Due to the light difference, the item's color may be slightly different from the pictures. Descriptions: Original AC Power Adapter for Nintendo DSi / DSi LL / 3DS / 3DS XL. - No Packing - EU Plug (2 Round Pin) - PRI : 230V, 50Hz - SEC 4.6V / 900mA Weight: 80g Size: 8. ●LED light power indicator. Plug: EU plug. LED light power indicator. Gives you plenty of reach to access a nearby wall outlet. Input:100V-240V 0.2A 50-60Hz. Output:5V 1500mA. Anyway we will try our best to avoid this kind of thing. Devices that support Type C Connection. 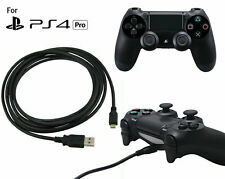 Features: UAE: Charge cable included, connecting the cable will allow charging while the controller still being used. DUAL USB: Built in 2 micro USB adapter ports, Dual USB charger provides a fast and easy way to charge two PS4/PS4 Pro/PS4 Slim Controllers simultaneously. DESIGN: Our Chargers are with built-in protector chip.Over charge / Over voltage / Over current / Over heated protection, which provide you with the safe and durable PS4 charger. 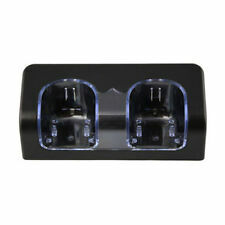 LED LIGHTS: The blue LED indicator on the PS4 charging station just show it is power-on. And the LED indicator on your PS4 controllers showing charge status clearly. 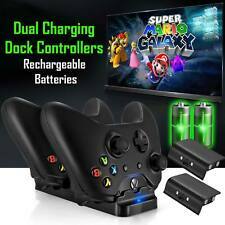 Xbox 360 Twin Dock Controller Charge Station Includes 2 x Rechargeable Battery Packs Xbox 360 Twin Dock Controller Charge Station Includes 2 x Rechargeable Battery Packs Keep controllers fully charged and ready for action with Venom’s smart Twin Docking Station. The rapid recharge cradle enables you to power up two wireless controllers without needing to leave your XBOX 360 on. 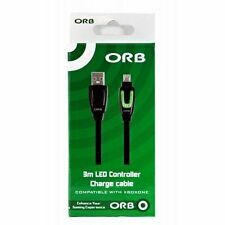 Featuring a polished black finish to match your XBOX 360 controllers, red charging LED indicators turn green once fully charged. Two powerful Nimh rechargeable battery packs provide maximum power for gameplay of up to 18 hours. PRODUCT FEATURES ---Dock, store and charge. 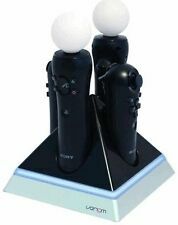 ---Rapid recharge cradle for 2 wireless controllers. 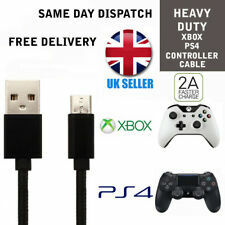 ---Keep controllers fully charged and ready to use. ---Supplied with x2 Nimh rechargeable battery packs. ---Charges whilst on standby. HDMI port: Video output, HDMI 2.0A version. One-touch display switching, freely switch between the host and the TV display interface. 1 Charging Dock Converter. Applicable products: For Nintendo SWITCH host. Suitable for Nintendo, for Switch. 1 PC x Charging Dock. Do not dry the charging stand with a microwave or an external heating device. Do not place the charging stand in a place exposed to direct sunlight or high humidity. Plug: UK & IRL. 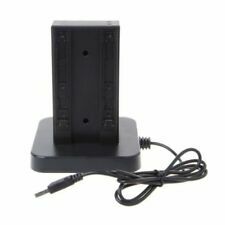 NES & SNES Super Nintendo UK Mains AC Power Supply PSU Adapter ONLY:10.99 EUR. Replacement UK Mains AC Power Supply PSU. Platform: NES & SNES Super Nintendo Console. 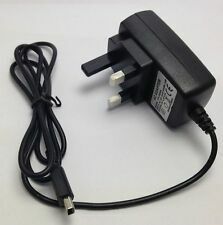 Sega Mega Drive 2 MD2 UK IRL Mains AC Power Supply Adapter PSU ONLY:13.99 EUR. Replacement UK IRL Mains AC Power Supply PSU with LED indicator. Plug: UK & IRL. Is your SEGA Mega Drive 2, Sega 32X or SEGA Nomad power supply on it’s way out? 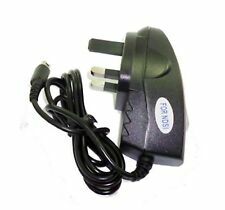 3 PIN AC Adapter UK IRL Travel Charger for Nintendo DS Lite NDSL ONLY:8.99 EUR. 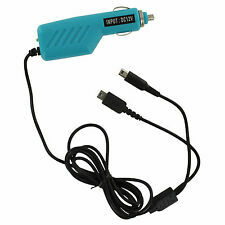 UK IRL 3 PIN AC to DC USB Charger. Compatible: Nintendo DS Lite NDSL. Dock plugs directly into the Xbox One with a USB cable. 1 Charging Dock Station. Charging Current: 300mA. 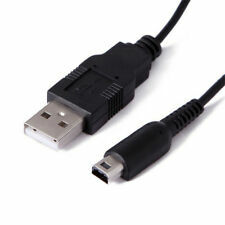 1 USB Charging Cable. Note: The real color of the item may be slightly different from the pictures shown on website caused by many factors such as brightness of your monitor and light brightness. Official Nintendo 3DS Charging Cradle for the" new 3ds"